We hear a lot about Alberta’s oil sands(1); in fact, the bitumen deposits in the province’s northeast are rarely far from the news. Most readers will have heard that oil sands production is expected to double in the next ten years(2), placing pressure on government to manage this industrial activity and its potential environmental effects. Yet the oil sands industry is not the only activity in the region. In fact, the ABMI’s latest report, released today, “The Status of Biodiversity in the Oil Sands Region [OSR] of Alberta” shows a number of industries are active on the landscape. The ABMI’s region wide assessment of human footprint(3) identified agriculture as the dominant activity in the OSR, followed by forestry and energy, though the latter two are increasing their footprint over time while agriculture remains stable. In addition to its analysis of human footprint, the ABMI report also presents data on the status (current condition) of 425 species of plants and animals in the region, with a focus on those species most sensitive to human development. The OSR is comprised of three administrative units (the Athabasca Oil Sands Area, the Cold Lake Oil Sands Area, and the Peace River Oil Sands Area), which correspond to the three major bitumen deposits of the same name. These deposits make up the third largest proven oil reserve on the planet, or 95% of Canada’s oil reserves. The OSR covers a very large area: indeed, it makes up 21% of Alberta’s land area, a size similar to the entire State of New York! In terms of its ecology, the OSR is situated primarily with the Boreal Forest Natural Region. This predominantly forested region is characterized by numerous shallow lakes and wetlands that are connected by meandering streams and large rivers. Many species of birds, mammals, and plants call the OSR home, including at least 88 species at risk. (4) With multiple land use activities, including mining, forestry, and agriculture, occurring on the landscape, there is an need to better understand the status of biodiversity in the area to inform regional land-use planning processes. 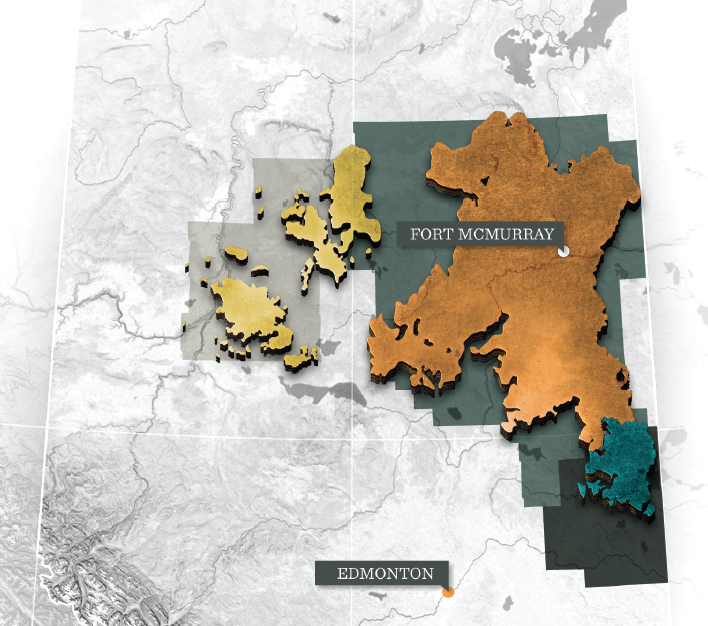 Map of the Oil Sands Region. Using detailed analyses of satellite images of ABMI monitoring plots, as of 2012 the total human footprint across the OSR was 13.8%. Agriculture was found to be the largest footprint type, covering 7.3% of the region. 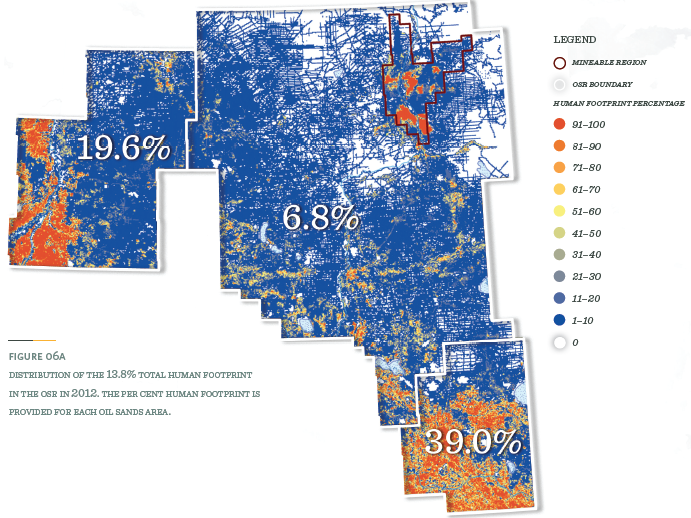 Forestry’s footprint covered 3.1% and the energy sector’s footprint was 2.3%. Noteworthy is the fact that the total footprint in the area is growing, from 11.3% to 13.8% over the years 1999 to 2012; this growth was largely driven by forestry (whose footprint increased from 1.8% to 3.1%) and energy (whose footprint increased from 1.6% to 2.3%). Agriculture, despite being the largest footprint, remained virtually unchanged over the 13-year period. What Does This Mean for Regional Biodiversity? ABMI has developed and uses the Biodiversity Intactness Index to describe the health of biodiversity. The Biodiversity Intactness Index is a measure of how much more or less common a species is relative to its abundance if there was no human footprint present. (5) In other words, the Intactness Index quantifies the extent to which habitat changes due to human activity is affecting species’ abundance. On average, biodiversity intactness for all of the 425 species assessed in the OSR is currently 88%, or a 12% deviation from expected for an undisturbed area. “Average” is the key word here: particular areas have much lower intactness—ones with intense industrial activity—and others, such as protected areas, have intactness values approaching 100%. Although overall intactness for the region is 88%, a closer examination of this number reveals good news for some species and less so for others. Some species thrive in landscapes with high human footprint and increase in abundance, while other species decrease in abundance and become uncommon as a result of development. For example, in the case of the black-billed magpie—a species that does well in landscapes with widespread human activity—their abundance nearly doubled relative to what’s expected for an undisturbed area. By contrast, many species that are considered old-forest specialists, meaning they require tree stands between 80-130 years old for nesting and feeding, were found to be decreasing relative to an undisturbed area. 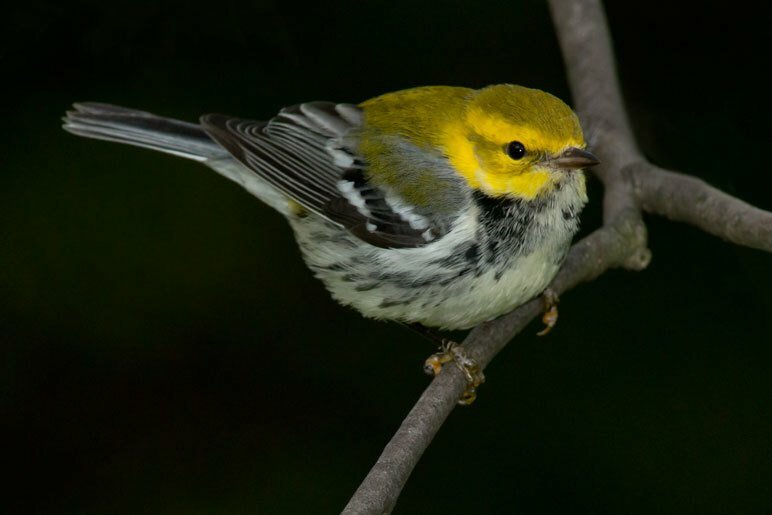 This is of significant concern for those species that are already at risk, such as the black-throated green warbler, whose abundance decreased by approximately 50% from what we would expect in an undeveloped landscape. This small songbird requires large trees and snags to survive and reproduce—habitat elements that were also found by the ABMI to be less abundant than expected throughout the region. The ABMI’s mission is to support natural resource and land use decision-making by providing scientifically credible data, information and knowledge on Alberta’s biotic performance. This report provides a comprehensive examination of human footprint across the region, as well intactness evaluations for 425 of the region’s species. Read the full report to learn more about land-use activities in the Oil Sands Region of Alberta and the health of the region’s biodiversity! (1) “Oil sands” is a term used to describe geological deposits composed of a mixture of sand and clay saturated with bitumen. Bitumen is a thick, sticky form of crude oil that is similar in consistency to molasses when at room temperature. (3) The ABMI defines “human footprint” as the visible conversion of native ecosystems to temporary or permanent residential, agricultural, or industrial landscapes. (4) Threat categories for species at risk as identified by the Government of Canada and/or the Government of Alberta. This assessment includes species identified by COSEWIC as Endangered, Threatened, Special Concern, or Data Deficient; Canada’s Species at Risk Act (SARA) as Endangered, Threatened, or Special Concern; Alberta’s Ministry of Environment and Sustainable Resource Development (ESRD) as May be at Risk, At Risk, Sensitive, or Undetermined; Alberta’s Endangered Species Conservation Committee (AB ESCC) as Endangered, Threatened, Special Concern, Data Deficient, or In Process. (5) Natural disturbances, such as wildfire and insect outbreaks, and indirect effects of humans, like pollution, still occur.